It is said that everyone is innocent in the eyes of the law before proven guilty. But in order to ensure one gets a fair trial and does not face social and legal problems even before legal proceedings can be started, the Indian law has made a provision for anticipatory bail. As per Section 438 of the Criminal Procedure Code of the Indian Criminal Law, a person can seek bail if he/she suspects he/she may be arrested or detained by the Indian Police force based on a person’s complaints or on a non-bailable basis. If, for example, a person is fraudulently being framed in a case that he has no involvement in, the person has the right to get an anticipatory bail order in place which will prevent him spending time behind bars based on false accusations. 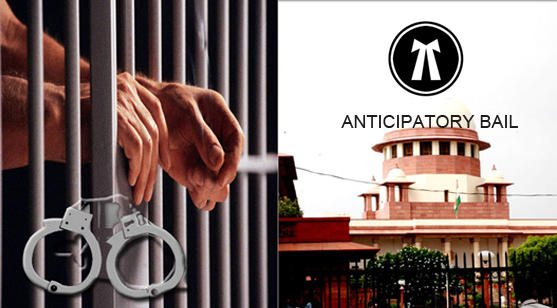 When an anticipatory bail is filed, the opponent party and their legal representatives must be informed of the same and they may oppose against it in the court. So the anticipatory bail is issued even before a person is arrested to prevent the arrest from taking place. Must agree that he will present himself for interrogation by a police officer in respect of the case under which anticipatory bail was granted. Must confirm that he will not influence, threaten, bribe or suppress any person from revealing facts pertinent to the case to the police officer-in-charge of the investigation or the courts, for his benefit. May not leave India without prior permission of the court. In order to get an anticipatory bail, a person must approach the sessions, High or Supreme Court through a qualified lawyer and prove that he suspects false play against him. Under Sec 438, if the court grants the bail, then the person can use it if required. The court may include special conditions while granting the bail, depending on the nature of the case.